If you’re passionate about equine sports go horseback riding in Orlando on historic trails first used by Native Americans in the 1500s. 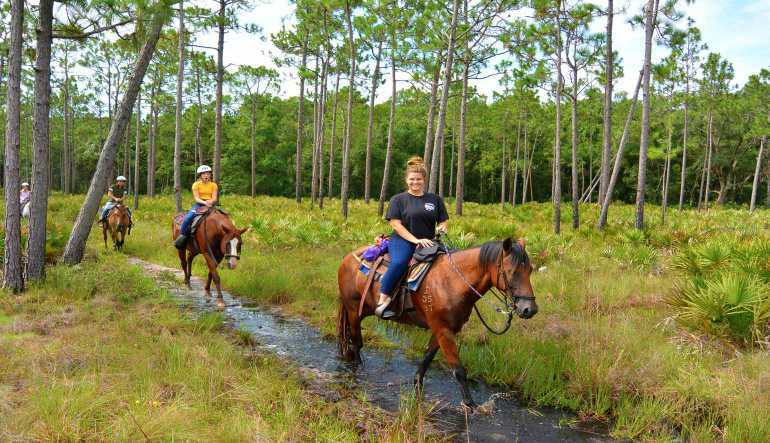 Through a 4,700 acre wildlife conservation area, you’ll enjoy a 1 hour horseback riding trail ride. A knowledgeable guide leads your group along native foliage and unspoiled Florida ecosystems. This isn’t your average trail ride. Explore a conservation area boasting untamed wilderness, natural streams, wetlands and dense cypress forests while horseback riding. 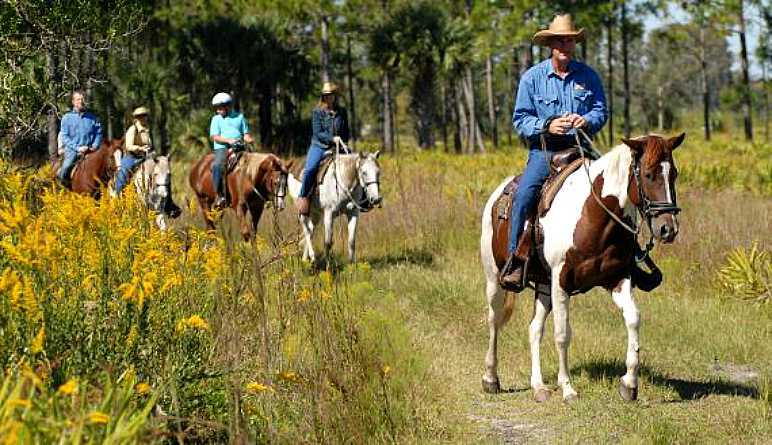 Discover central Florida on horseback – book today. Misty, our trail guide did an awesome job!. Really enjoyed the experience. It was an enjoyable experience, the animals were very clean and well kept. The Staff were very friendly. We definitely want to do this every year. Both myself & my kids had a great experience! I would recommend this to family & Firends! We love horse riding adventures. The area is very nice and pristine. we enjoyed the ride and will surely return again. Please allow up to 2 hours total for experience including shuttle transportation from the meeting point to the trail grounds.